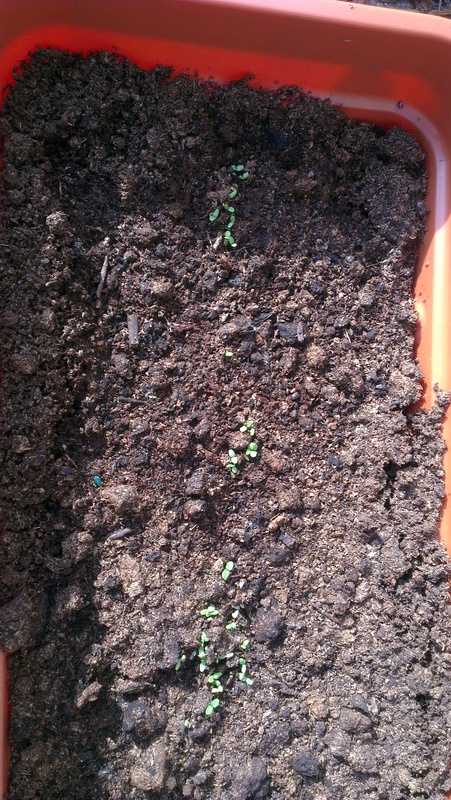 sown my own living salad in a windowbox – I used some mixed salad seeds so there’s lettuce, rocket and a red lettuce in there and I popped in some spinach too. 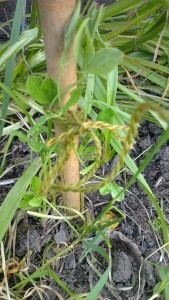 The downs of gardening are that I pulled something in my shoulder while weeding last week and it’s really painful. I’m taking some ibuprofen which is helping a bit but mostly I need to rest it. I’m still knitting on Edinburgh Rock at lunchtimes and when I watch tv but I still have a way to go as I do with the Twitter Mystery Knit. 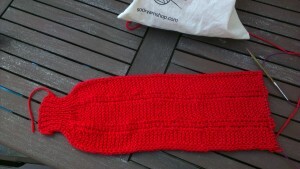 My latest knitting project is so secret, even I don’t know what it is! Well, that’s not quite true, I do know that it’s a neck accessory. 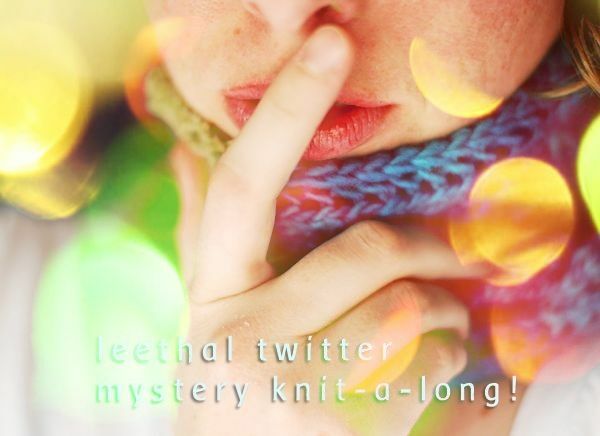 Yes, I’m taking part in the Leethal Twitter Mystery Knit-a-Long! I’m going to start again and this time put lifelines in every two rows. That’s about as much as I can manage without making a mistake at the moment! Talking of mistakes, I’ve also had to do and re do several rows of the Edinburgh Rock scarf because I forgot to move the yarn to the wrong side when slipping my stitches at the beginning of the row. This is because I was working on it at the same time as the Twitter Mystery where you slip stitches in a different way. In addition to my stop and start over again knitting experience this week, I’ve been able to fit in some garden work. 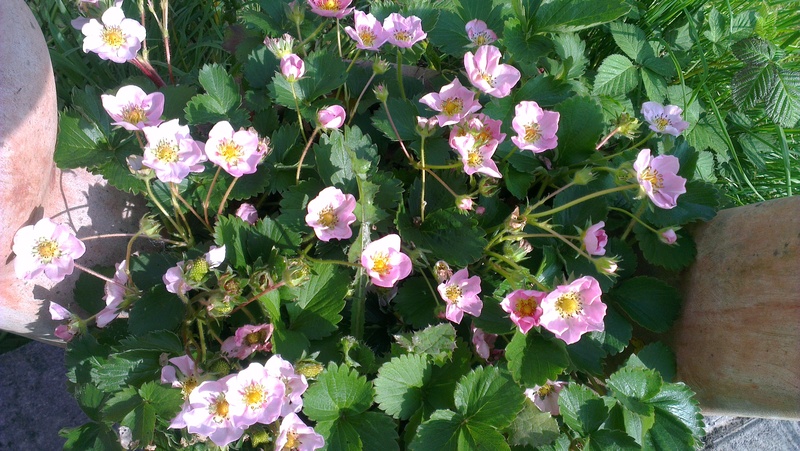 I would have loved to have done more to my garden in April but the UK was practically drowned in rain. This weekend brought the longest amount of unbroken sunshine we’ve seen in weeks. So now my lawn is mown, raised bed weeded and raked and I’ve planted my sweetpeas around a cane wigwam. 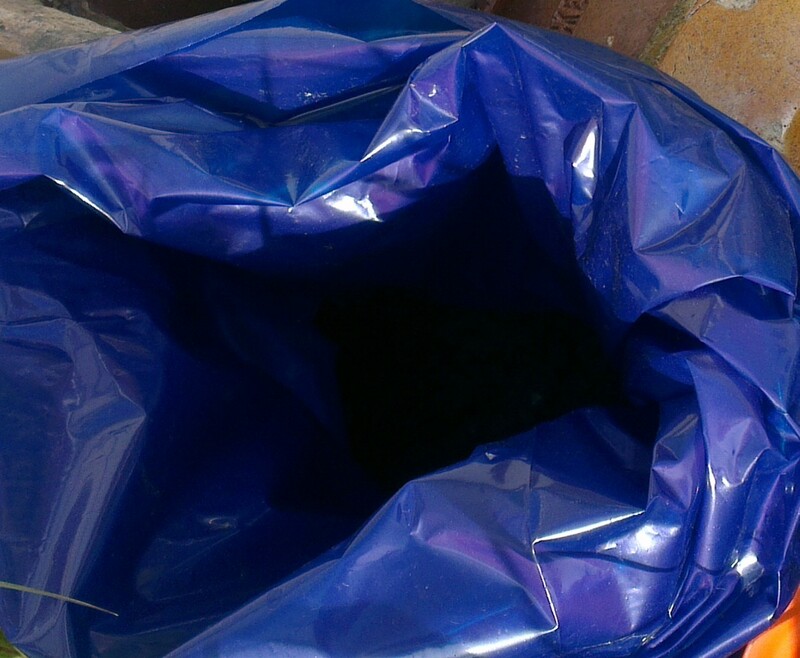 I’ve also sown in pots some dwarf runner beans, basil, squash, sweetcorn and some mixed herb seeds. And I pulled up a couple of leeks from the raised bed, too. Yes, I know the small one looks like a spring onion, but it isn’t. The large one's been cooked already with some mushrooms, garlic and cream over a chicken breast. Yum! I also saw my very first slow worm hiding out inside some pots. They’re not worms but legless lizards native to the UK. The one I saw was a salmon colour and by the time I’d had a quick google to check that I was right about it being a slow worm and not a UK Adder, it had disappeared. 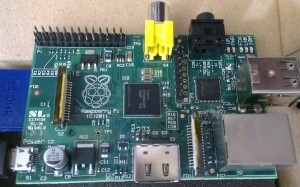 Wish I’d been able to take some photographs but they’re very fast movers and not slow at all! An actual FO (finished object), my first in ages. It’s the Almond Comfit beret from Saturday Treat by Ysolda. It’s an usual pattern in that unlike others I’ve knit which begin at the crown or the ribbed brim, it begins at a point on the edge and the beret slowly builds up in the same way that a shawl does. In fact it was some time before it actually began to resemble a beret! Once it did, it knit up quickly. 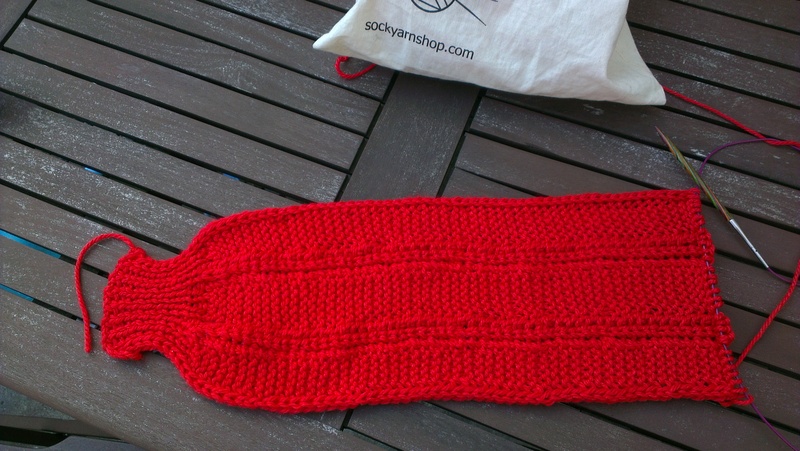 The hardest things for me were the cast on which is in the figure 8 style – After reading comments on Ravelry I cheated and used Judy’s Magic Cast On – and grafting the last 12 stitches at the end. 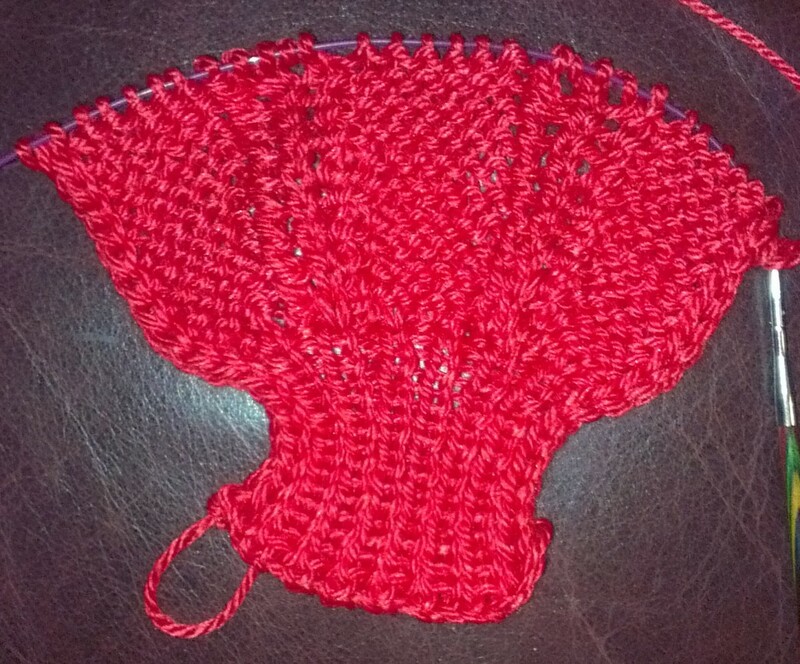 It was my first ever attempt at Kitchener stitch and I had to do it in two different patterns. But it was lovely to finish it and then block it on a dinner plate. 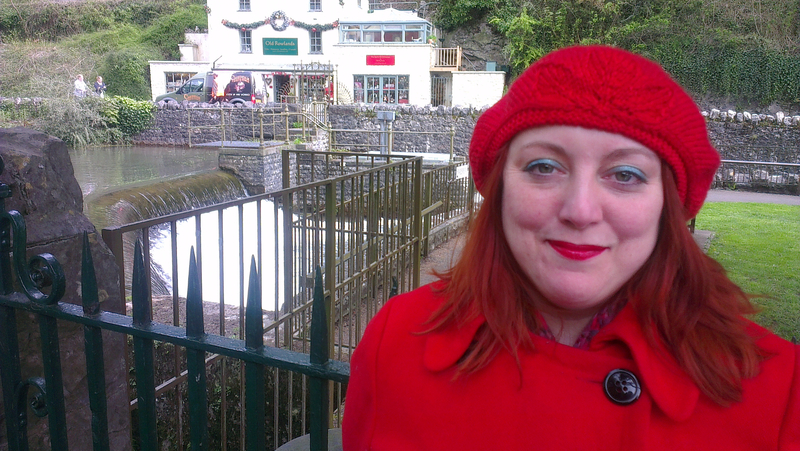 Here’s a picture of me wearing it in Cheddar Gorge yesterday. There’s a triple leaf design at the front which would have a been a bit more noticeable had I done my yarn overs properly, but I still like it. 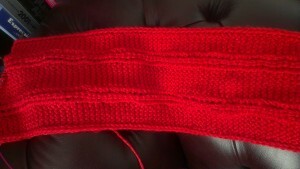 One other thing was that I knit the middle size and still had 40g of yarn left over afterwards.